Every week, our staff will handpick a game from the past two weeks that we believe is a must-have download for your iPhone or iPad. These games will always be from a wide variety of genres, but they are chosen because our own staff members love it and can’t put it down. So here are this week’s picks! Enjoy, and happy gaming! 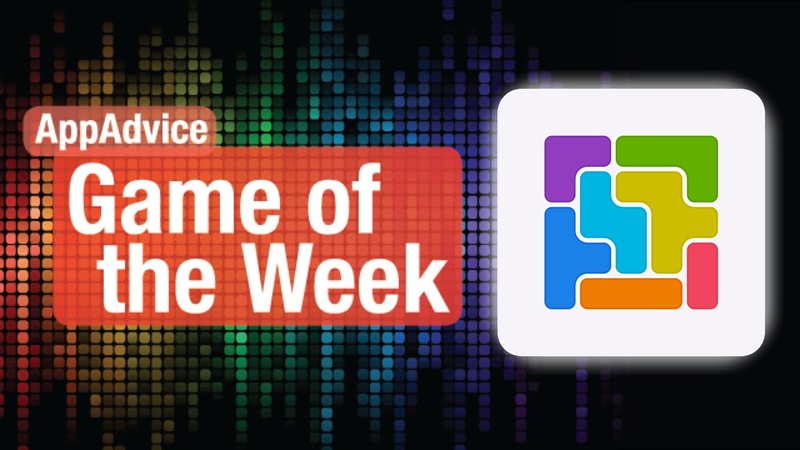 Slide and connect the blocks in our Game of the Week. In the mood for a relaxing but stimulating puzzle this weekend? Then you’ll have to pick up our Game of the Week, Blockwick 2 from Kieffer Bros.
For those who are unaware, Blockwick was a popular sliding block puzzle game that came out in 2011. Blockwick 2 is the modern sequel to the original, and it is vastly improved in every way. Even though we loved the artwork in the first game, Blockwick 2 features a more modernized look and feel, with bright white backgrounds and vibrant colored blocks that contrast nicely. The game also has a calming soundtrack that is a joy to listen to, and should help you focus on solving the puzzles. The game has several level packs of increasing difficulty, with each chapter introducing a new game mechanic to the mix. The game has nine level packs with about 16 levels in each — the total number of levels is 160, so there is a lot of puzzle for your money here. If you played the original Blockwick, then you will be familiar with some of the different blocks, such as the locked ones, but Blockwick 2 introduces many new ones. These special blocks include entangled blocks, sticky blocks, caterpillar blocks, sleepy blocks, and many more. The variety of different block types keeps the game interesting, and things get complex once you get further into the game. 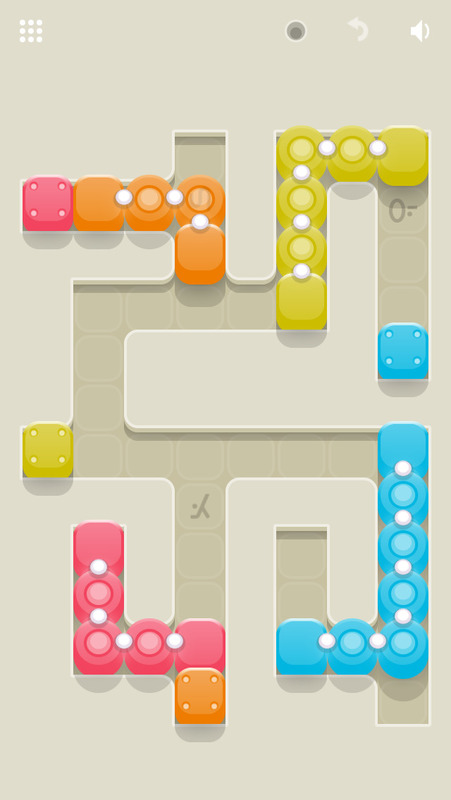 Controls in the game are simple — just drag blocks around on the grid to move them. The goal is to connect all the like-colored blocks together, with an illumination bonus if you can get them on top of all of the glyphs on the screen. Of course, this is easier said than done once you have many obstacle blocks and new mechanics added to the mix. 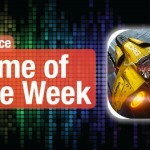 We are big puzzle game fans here at AppAdvice, so Blockwick 2 is a new favorite this week. If you are a fan of the Kieffer Bros. (Aqueduct, Monster Soup, and more), liked the original Blockwick, or just like a good puzzle, don’t miss out on this one. You can get Blockwick 2 on the App Store as a universal download for $2.99. For a closer look at Blockwick 2, don’t miss my original review. Strategize to conquer and win in this historical strategy game. Looking for a strategic and historical game instead this weekend? Then you’re in luck with our Honorable Mention for the week, Vietnam ’65. This is a new strategy game from Slitherine Software UK that allows players to play as a U.S. Army commander who is in a counter-insurgence (COIN) war with Cambodia in order to secure the border. In Vietnam ’65, you’ll have to earn the hearts and minds of the locals while seeking to take out he Vietcong insurgents, as well as North Vietnamese Army units. The enemy will conduct operations across the border that back up the local insurgency and launch offensive attacks when the time is right. So what do you need to do to win? You’ll have to command your forces, which include ground troops, special forces, artillery, mechanized units, and even mobile air units. A lot of training will be involved before you can win and get the support of the locals. Each match consists of 60 turns, but the game saves automatically after each turn, so you can break a session down into smaller chunks if necessary. The goal of the game’s theme is to recreate the Vietnam War, and your rank will go from Lieutenant to General the more you play. The uniform changes to reflect your current rank, which is a nice touch. 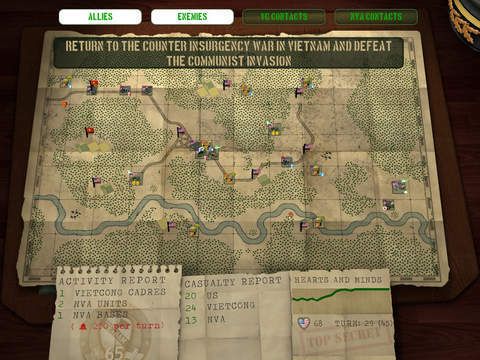 We enjoy a good strategy game with historical roots every now and then here at AppAdvice, so Vietnam ’65 is a nice gem to add to the collection. You can get Vietnam ’65 on the App Store for the iPad for $9.99. For more, check out our original article.